You’ll learn you how to create dynamically generated tables that are searchable, filterable, and sortable. Better yet, you’ll have full control over exactly what information you display in your table of affiliate products. Not only will this save you time, it will make things better for your visitors (and a better experience means more conversions!). WooCommerce – this is what you’ll use to actually manage your various affiliate products. 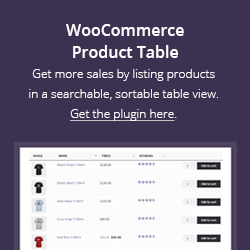 WooCommerce Product Table – this is what you’ll use to display those affiliate products in a filterable, sortable, and searchable table. I’m going to assume that you have both of these plugins installed and activated before you start the guide. That is, while I will show you how to add an affiliate product to WooCommerce, I’m not going to show you how to set up the basic WooCommerce store. If you need help with that, check out WooCommerce’s Getting Started guide. 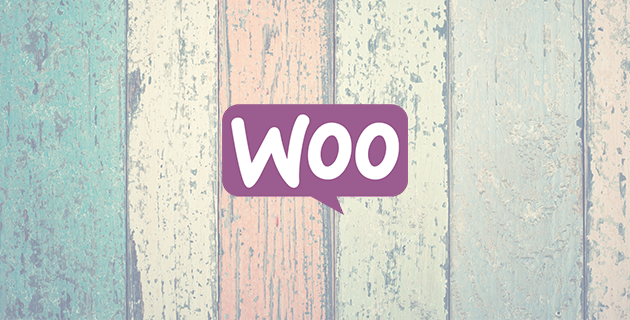 Lots of people think WooCommerce is just a solution to sell your own products. But it actually includes core functionality to sell external affiliate products – no tweaking required! To add your first affiliate product, go to Products → Add New in your dashboard. Product URL – this is your affiliate URL that goes directly to the product. 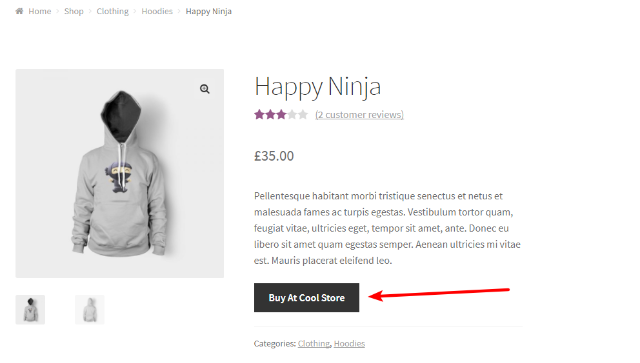 Button text – WooCommerce will display a button to link to where the visitor can purchase the product, rather than an Add to Cart button. Now, all you need to do is repeat the same process for as many affiliate products as you want to add. I recommend using a category or tag to divide up products by topic because it will come in handy later on if you want to create multiple affiliate product tables for different topics. 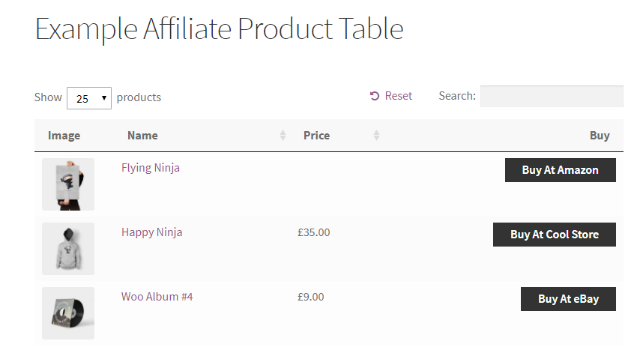 In order to display a table of affiliate products, you’ll use the shortcode from the WooCommerce Product Table plugin. For a full explanation of all the settings here, check out my complete tutorial on how to create a WooCommerce product table. But for this post, I’m just going to focus on the settings that most apply to creating a table of affiliate products. Or, you can always stick with the plugin’s default styling. If you’re not planning to display prices, you might want to remove the price column. Additionally, you might want to remove the short-description as it can make your table a little cluttered if you have long descriptions. Similarly, you can add additional columns to display more information. This help article has a full list of potential columns. Those are really the only two things you need to consider. While you can always change the other settings to suit your liking, I think the defaults are pretty well suited for most uses. 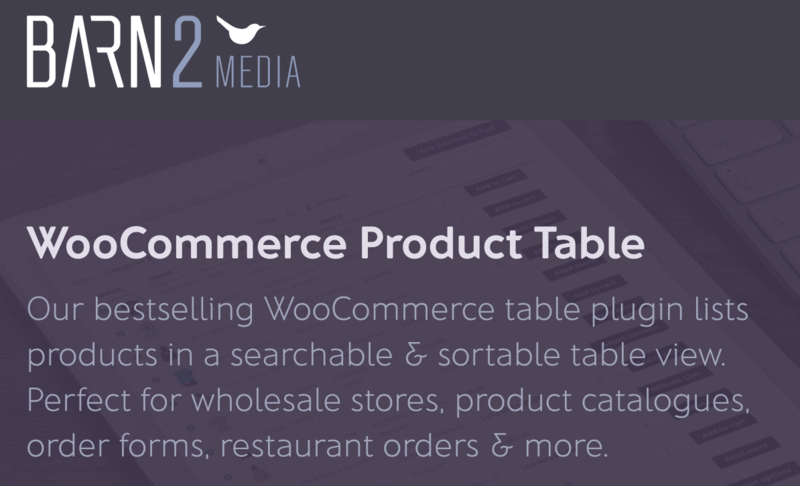 Get started creating your product list view with WooCommerce Product Table from Barn2. Now that you’ve set up the defaults, you can insert your table of affiliate products by using the [ product_table ] shortcode (without the spaces). To do that, you can either use tag="tag_name" or category="category_name". 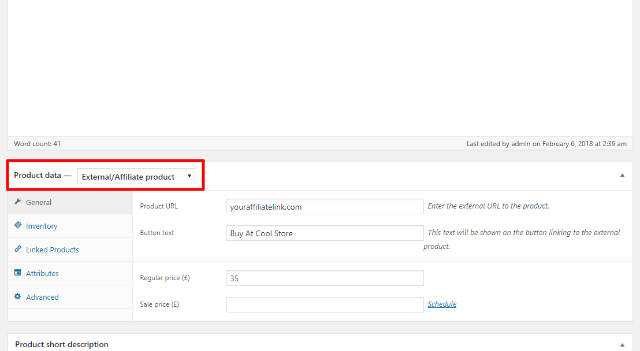 The table will use the button text that you enter when you set up your affiliate product. So you can either make them all the same text, or make them different like in my example. If you don’t input a price, it will show up blank. For that reason, you should probably go “all or nothing” with listing prices on your affiliate product pages. 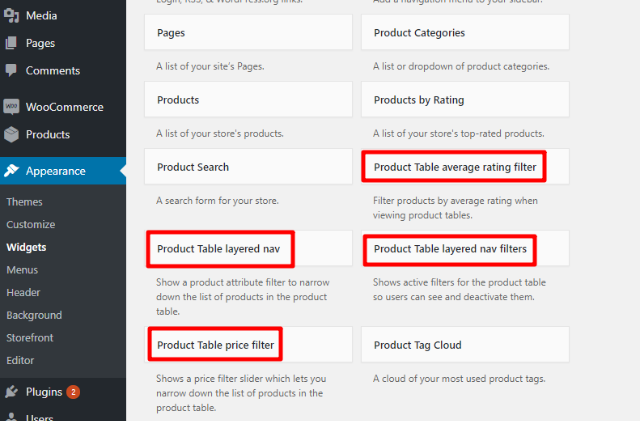 A neat thing that you can do with WooCommerce Product Table (and can’t do with other product comparison table solutions) is display sidebar filter widgets for your visitors to interact with your table of affiliate products. These aren’t required – but I think they make your table a lot more usable. Once you do that, your visitors will actually be able to filter out the specific affiliate products that they’re most interested in using your sidebar. This tutorial won’t work for every single affiliate website because it hinges on using WooCommerce to manage your affiliate products. But if you are using WooCommerce, or are open to the possibility, it’s a great way to display a more usable and flexible table of affiliate products. And because it’s dynamically generated, any new affiliate products that you add to WooCommerce will automatically show up in the relevant tables, which is a lot easier than having to manually edit static tables each time you want to add or update a product. Have any other questions about how to create a table of affiliate products using WooCommerce and WooCommerce Product Table? Leave a comment and we’ll try to help out! This is what i have been searching for last one month. Thank you Colin.